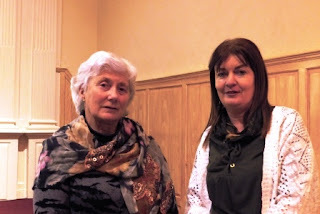 The February lecture, on the "Houses of the Dead" delivered by Dr Elizabeth Shee-Twohig was of great interest to many who travelled from the county and beyond to attend. James Eogan and Elizabeth Shee Twohig (eds) Cois tSiúire – nine thousand years of human activity in the Lower Suir Valley. Archaeological Excavations on the N25 Waterford City Bypass. (NRA 2011).